Traditionally, Indians regard rivers as holy. We worship them, with many of our rituals centered on them. Yet, we routinely dump garbage into them not only the offerings we make to them, but sewage and industrial waste as well. The alarmingly high levels of pollution in the Ganga and the Yamuna are well documented. Not so well known is the case of the Godavari. With one of the largest river basins in India, the Godavari begins in Maharashtra and flows through Andhra Pradesh into the Bay of Bengal. It is the second longest river in India, after the Ganga. 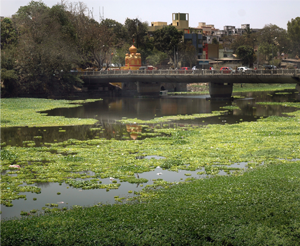 Nashik, the largest city on the Godavari, is where the Godavari Gatarikaran Virodhi Manch started its fight to save the river three years ago. A group of activists took an oath to restore the river to its pure natural state. The activists first armed themselves with information about river pollution. This was followed by petitions to the heads of different political parties and demonstrations to create public awareness. "I took note of the technical terms mentioned by a guest on Satyamev Jayate’s episode on water. 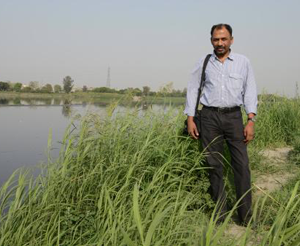 I was struck by what he said about how when a river’s level of dissolved oxygen comes down to zero, it means the river is dead," says Rajesh Pandit, an activist with the Manch. Pandit and his associates then approached the Maharashtra Pollution Control Board and demanded an inspection of the river's quality. The findings were shocking. Levels of dissolved oxygen in the Godavari were found to be zero in many places. "We now had the technical evidence and with this we took our fight to the courts. We had proof that the Godavari was a dead river." Next, they filed a Public Interest Litigation in the Bombay High Court to draw attention to the continuing pollution of the river. After noting the findings of the study, the Chief Justice remarked in disbelief, "Can this be called a river?" In its order, the court said that boards must be placed at various points along the river, with warnings that say the water is unfit for human consumption and dangerous to health. The court then ordered the Maharashtra government to post policemen at the riverfront to ensure that no waste is dumped into the river. It also sought the opinion of the National Environmental Engineering Research Institute (NEERI) on how the river could be rejuvenated. The Manch has also filed a case in a Nashik court under IPC 431, which criminalizes mischief with a river. The Police Commissioner had earlier refused to take cognizance of the activists’ complaints and so, they moved the courts. The main respondent in the case is the Nashik Municipal Commissioner under whose supervision untreated sewage and industrial waste are being dumped into the river. In the run-up to the Kumbh Mela in Nashik in 2015, the activists plan to take out a "rath yatra" along the river’s entire route. They plan work with scientists to study the river quality and do awareness programmes at schools and colleges. Pandit says, "We are hoping for a green Kumbh Mela which does not pollute the Godavari. And we want to do this without hurting religious sentiments." The Godavari Gatarikaran Virodhi Manch’s fight is ongoing and gathering momentum. Perhaps because it draws its foot soldiers from the youth and children, who are determined to battle it out to save the river for future generations.